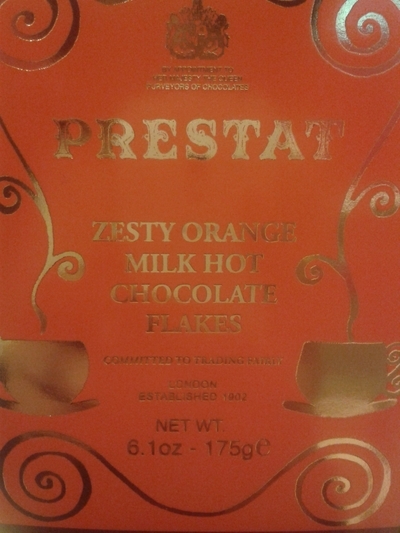 Prestat hot chocolate comes in a delicious Zesty Orange flavour, which is in fact chocolate flakes. I've got a thing for hot chocolate, especially the kind which is a little bit different, and that is exactly what Prestat offers. Instead of standard hot chocolate, they offer chocolate flakes, which does something altogether different to a mug of hot milk, and gives off an indulgent aroma. It tastes like a Terry's chocolate orange, but the luxe version. My mother is a huge fan of chocolate flavoured with orange, so she absolutely loved this. "If you thought that chocolate orange was passé, then think again. It’s a moment almost startling in its purity and loveliness and is a welcome reminder that the world is full of wonderful things to enjoy." It is exactly that. Happy drinking.